Batman, Superman, Wonder Woman and even Captain America – they’ve all been spotted in Durham City. The awesome foursome are just some of the superheroes whom disbelieving visitors to Wharton Park were treated to a glimpse of. And it was a particularly evil baddie that they were here to fight – litter. The heroes, or mini-replicas of them, were actually schoolchildren being filmed for a blockbuster movie which is the centrepiece of Durham County Council’s new Litter Heroes campaign. Litter Heroes encourages residents, workers and visitors to the city and the wider county to put their waste in bins or take it home with them. The council’s own anti-litter mascot Tidy Ted has a cameo role in the short video which starts with our superheroes set against a typical American city skyline. The world-wide premiere of Litter Heroes and campaign launch took place at the school earlier today, Tuesday 20 November. Cllr Brian Stephens, the council’s Cabinet member for neighbourhoods and local partnerships, said: “We really are amazingly proud of our beautiful county and we want to keep it that way. “Litter Heroes is all about asking people to do their bit by putting their rubbish in a bin or taking it home with them, and encouraging others to do the same. “It is the first of a number of initiatives we will be delivering to tackle litter, which we know is a real priority for our residents. 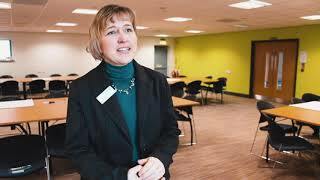 School headteacher Lysa Grieve said: “All our children are really passionate about keeping our streets free of litter and when they found out we had been asked to be part of this campaign they were so excited. The premiere of the film was the main attraction of an assembly council staff including Ted delivered to pupils on the new campaign. 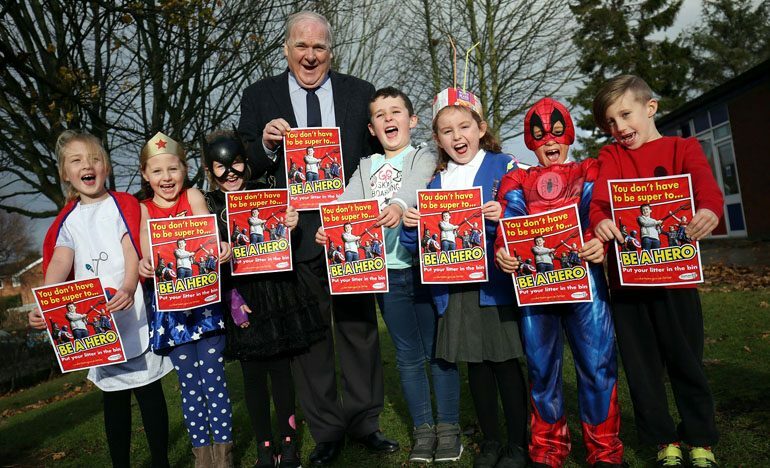 Aside from the video, Litter Heroes involves a competition in which children at primary schools across the county are being tasked with designing posters to encourage people to dispose of their waste responsibly. Winning designs will be fitted into a template with an anti-litter message which will appear on bins across the county. One child from each of the council’s 14 area action partnerships will be selected to be presented with a framed copy of their poster in their school by Tidy Ted. Anyone dropping litter in County Durham risks getting a £150 Fixed Penalty Notice if caught, with the amount payable having been increased earlier this year to discourage people from discarding rubbish. The council will also soon be able to issue financial penalties to the registered keepers of vehicles from which litter is thrown.